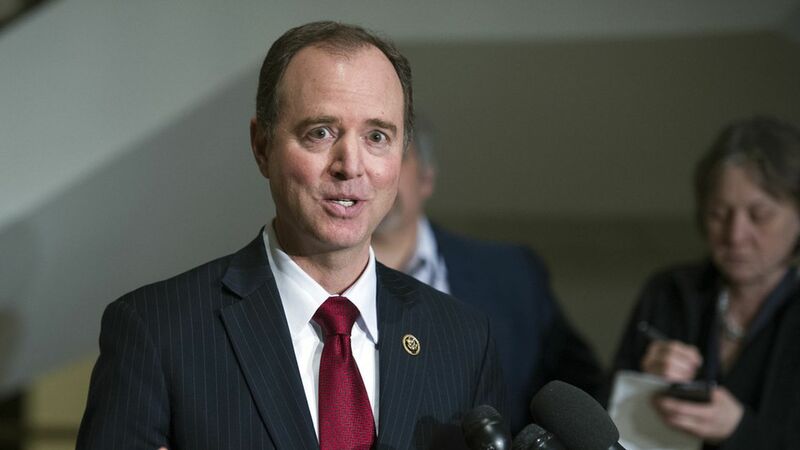 House intelligence member Rep. Adam Schiff slammed Chairman Devin Nunes for going to the White House with intelligence reports alleging Trump was inappropriately surveilled before sharing the information with the committee. All of us are essentially in the dark... to take evidence that may or may not be related to the investigation to the White House is wholly inappropriate... and cast grave doubts about the intelligence community's ability to run a credible investigation. As for whether he believes Nunes should be removed as committee chair? "That's a decision that the Speaker needs to make," said Schiff.